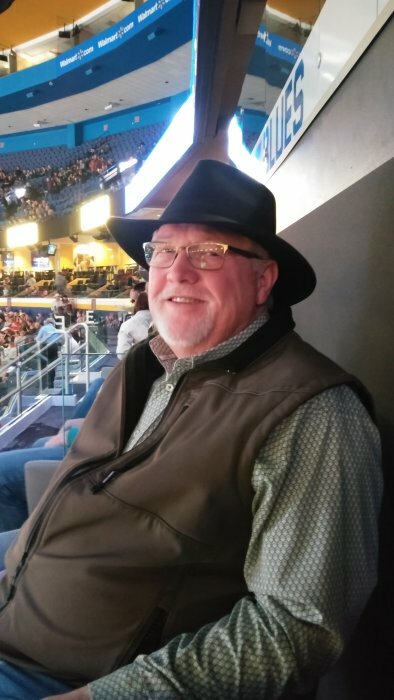 Johnny F. Beaver, 67, of Worden, IL, died at Evanston Regional Hospital, Evanston, WY on Saturday, April 6, 2019 at 8:00 pm. He was born January 15, 1952, in Maryville, TN to John D. Beaver & Helen (Williams) Beaver. He married Jackie (Sturgill) Beaver on April 12, 1971 in Bunker Hill, IL. He was a superintendent for Ameren and then manager of transmissions for J F Electric. Johnny was a member of the NRA. Johnny was a board member of the International Lineman's Rodeo. He was Trustee and Deacon for the First Baptist Church of Alhambra, IL. He loved pocket knives and giving those as gifts. He enjoyed hunting, baling hay, and raising cattle. He loved taking his 2 grandchildren hunting. He is survived by his spouse, Jackie Beaver of Worden, children, Julie (Dave) Eaton of Saint Charles, MO, Jason Beaver of Alton, IL, Joshua Beaver of Worden, IL, grandchildren, Nicolas Eaton, Savanna Eaton, brother, Dewayne (Vicki) Beaver of Bunker Hill, IL, nephews, John Dewayne Beaver, Casie (Janine) Beaver and great nephew, Denver Beaver. Johnny was preceded in death by his parents and sister, Theresa Gayle Beaver. Friends may call on Friday, April 12, 2019 at the First Baptist Church of Alhambra from 3:00 pm until 8:00 pm and on Saturday, April 13, 2019 at the First Baptist Church of Alhambra from 10am-11am. Funeral services are Saturday, April 13, 2019 at 11 am the First Baptist Church of Alhambra, IL with Pastor Mark Gause officiating. Burial will be at Bunker Hill Cemetery, Bunker Hill, IL. Memorials are suggested to Relevant Pregnancy Options Center of Highland, IL. Anyone wishing to send an online condolence may do so at www.kravanyafuneral.com. Kravanya Funeral Home, Bunker Hill, IL is in charge of the arrangements.